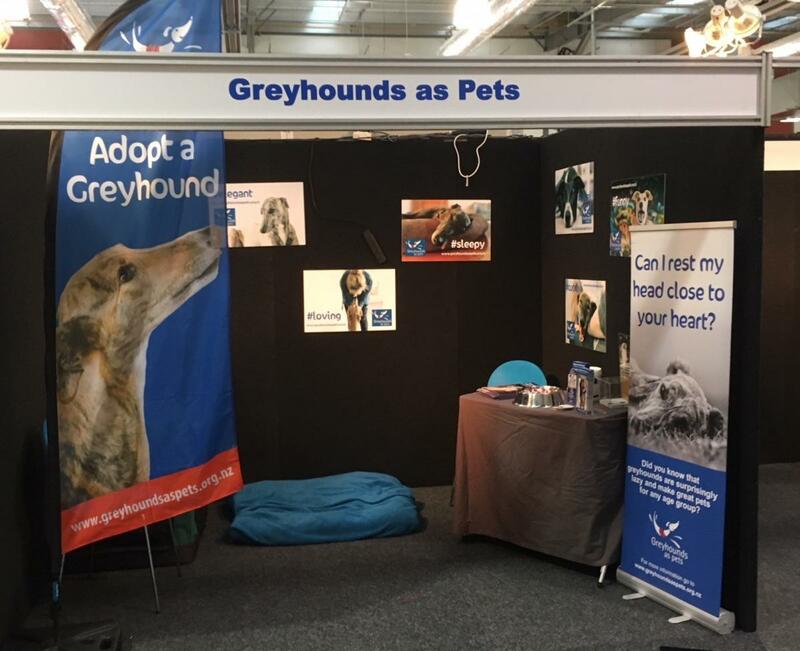 As it was a vet conference there were all sorts of trade stands but there were a few things that were of interest to us as greyhound owners which I thought I would share with you. The pet industry is now a multi-billion dollar one so there is a lot of money going into research and new products coming out all the time. PlaqueOff Powder is a dietary supplement which can help reduce plaque and tartar, as well as reducing bad breath. It is a sprinkle on food additive and contains the seaweed Ascophyllum nodosum with no artificial colours, preservatives, gluten or added sugar. Healthymouth liquid is a liquid that is added to drinking water and helps control plaque by providing a barrier over the teeth and gums which prevents the colonisation of bacteria on the tooth’s surface. This product has been clinically proven to reduce plaque accumulation by 88%. Antinol uses marine lipid oil (PCSO – 524) sourced from green lipped mussels in Nelson. The oil is extracted and the end product is 100% natural. This is now the leading product for cats and dogs joints in Japan and has been released in Australia and NZ this year. There were some remarkable case studies with this product helping very sore dogs. As well as joint health this product also supports healthy skin. 4CYTE Canine is scientifically formulated to dramatically reduce and reverse cartilage degeneration. Again some remarkable case studies were available and I have seen the equine version of this used with good results. This product is proving to be very popular with people who have dogs doing agility and high impact dog sports. I am going to try it on Priceless who has arthritis in her pelvis and lower back so we’ll see how we get on! The other stand that really caught my interest was the IDEXX Laboratories stand. They have developed the IDEXX SDMA test for kidney disease – this test gives results before you start seeing symptoms and can be run routinely as part of an annual health check. This is particularly close to my heart as our Blondie has chronic kidney disease and we have been managing this for the last three years. With kidney disease, by the time your dog is showing symptoms they can be suffering from up to 75% reduced kidney function. With the SDMA testing changes are picked up early giving a better chance to manage and help your dog. If you are interested in any of the above please talk to your vet as these products are available through vet clinics. Blondie and I had a wonderful time with the team in Hamilton and big thanks to the hounds and their wonderful handlers that came along to help!